All good affiliates map out their strategy well before they start building a web campaign. It’s time to start thinking about it. Before you even begin to build a business online, you need to choose who you want to sell to and what you want to sell. One of the most difficult things about affiliate marketing is figuring out what your niche is going to be. Below you will find a video that explains it a bit more and you can also check out our webinar that describes this topic in more detail also. The bottom line is you need to choose a niche that you want to work on. This is why many people recommend you choose a topic you enjoy or that you have knowledge in. Once you decide on a niche, the next step is to learn about the people behind that niche. This is your TARGET AUDIENCE. Finding your target audience is a huge step that can’t be ignored if you want to get sales with affiliate marketing. The reason why target audience research is important is because once you know who your audience is, then you can figure out what they want and need. Then you can satisfy that need by giving them answers. Basically ask yourself who do you want to sell to? Women? Men? People who want to make money? People who want to lose weight? People looking for love? or People who want to know about what to expect when expecting? Within this category you will find anything from the ‘weight loss’ niche to ‘building muscle’ to dealing with chicken pox. Literally anything at all you can think of which pertains to your health is an individual niche within this all-encompassing category we call “Health”. Impulses are what drive each of us to buy things. What those impulses are telling us varies from niche to niche, and reason to reason. The impulses that drive the Health Niche will be different from those which drive the Wealth Niche and so on. It is very important to keep that in mind when picking a niche to market to. That said, it’s almost a sure bet that if you happen to choose one of the three broad categories that are known for making the most money, you will almost certainly find a smaller niche you can cater to, market to, and profit from. Notes: The three big categories a lot of marketers aim for are: health, wealth, relationships. These are actually categories; though you may hear some people refer to each one as a “niche”. Within each one of these categories you’ll find a lot of different niches & sub-niches you can dive deeper into. Also note that no matter what niche you choose to go into you’ll want to be sure that it’s one in which the audience has a passion for or a need of some sort that they are looking to fulfill. As you can see from the video this step can take a lot of time - but it is important you do it! Don't get "analysis paralysis" at this stage. Many people never make it past this stage because they just can't choose a topic and stick to it. The thing is you can ALWAYS change your niche in the future if you want. Just remember to take action and choose one and stick with it till you thoroughly test it! In today’s online environment we have been much more successful targeting “evergreen niches” and implementing advanced traffic generating strategies. We use marketing angles that generate more leads and sales. In this course we will show an example campaign. The likelihood of creating a successful site depends heavily on your ability to choose a niche that meets some very important requirements. Niche research is essentially about looking at different markets and making comparisons. How difficult it would be to rank for niche related keywords (including keywords with the intent of selling). It's usually a good idea to target "sub-niches" rather than the big over arching niches. Instead of targeting "Tourism" target something like "Tourism Safety" or "Travel Tips for Europe" or other sub niches which are more specific like "Tourism Safety Tips for South America". Niches with a lot of different products & services. Finding niches with commercial/buyer intent means you can create content that targets multiple products and services to many people no matter how far they are in the buying process (resulting in much higher potential for conversions). For example the "make money online" niche. People we target in that niche could be looking to buy software tools, training courses, advertising, premium WordPress themes, web hosting and the list goes on. This is not totally essential but it helps. If you have a personal interest you are more likely to put in the time to work on this long term. Or you could decide to go with a passion such as any specific animal. Lots of people have a favorite animal they absolutely adore and it would be safe to bet that they also make purchases based around this specific animal. I bet if you looked for it on the Internet you’d find things like posters, Tee Shirts and really just about anything at all which featured a cute graphic or slogan pertaining to some form of animal. Notes: Almost nothing sells unless there is a reason for someone to buy it. If you are not targeting people who are already looking to buy based on a passion or hobby of theirs, and you are not hitting one of the three main categories of (health / wealth / relationships) above then you are wasting your time and effort and should reevaluate your niche selection. Large target markets are essential but they also have a lot of competition so you need to find a good balance. Big niches like (like insurance and loans) should always be AVOIDED (unless you dive into a more sub-topic). Let’s move away from the theory and give you some actionable steps. Write down 5 or 10 "potential niches that interest you. Go to places like Amazon and search top selling books or topics and see niche ideas from there. Also check out Magazines.com and click on "Best Sellers" to see the top selling magazine topics. At this stage you are just finding topics that interest you. Run your list through the niche criteria above (what to look for in a niche) and cross off any that don't match every single piece above. For the remaining niches you have left on your list, you need to go out and research your target audience and competition to see which one best fits. Use tools tools like Google Keyword Planner to search keywords related to that niche. The beauty of this tools is it is free, and it shows you how many people search that topic every single month, and gives you ideas for "sub-niches". First of all, it fits into one of the 4 major categories we like to focus on which are Finances, Health and Wellness, Relationships and Love, and Lifestyle and Passion. It’s a market that has an endless amount of products to sell, whether that’s books through Amazon, software, courses like ours, or tools and services needed like email auto responders, and web hosting. A good chunk of those products are also high-ticket items (coaching and consulting), so you can expect a healthy commission on sales. It’s a fairly broad niche with a huge number of topics and plenty of low difficulty keywords to target, which also makes content creation and link building a little easier. To top it off, our research also revealed a TON of other "affiliate marketing" sites, so we know it works. Choose a niche and understand your target audience and build your business around a core group of people! Let’s look at the broad market of “Make Money at Home”. Making money at home is a multi-billion dollar industry. There are literally Billions of potential customers out there who are looking to make money online at home. As an affiliate, you could begin by promoting a single product to this market. We could go on and on here with ideas but, it is just an example of how you can branch out inside one big niche. These topics are all decidedly different from each other, but they are all related to our target audience’s interest – that of making money online and working from home. 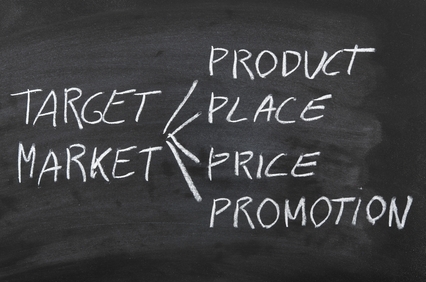 As an affiliate, there are HUNDREDS of products you could promote over time. Your customers could ultimately make multiple purchases from you. TIP — Choose a target audience accustomed to spending money. If the target audience isn’t accustomed to spending money – and a “lot” of money, then there’s no point in spending a lot of time creating a campaign around them. “How to Stop Being Extremely Broke” isn’t a great target audience simply because most of these people are likely broke! On the other hand, “entrepreneurs” aren’t afraid to spend money if they think it will help them make more money. “Motorcyclists or boaters” spend hundreds of dollars each year online buying things to support their expensive hobbies. These are simple examples. TIP — Choose a target audience that can be presented with different offers. If the target audience is limited in what you can sell to them, then your campaign is limited. You want to be able to present several offers related to the general market of the target audience you have selected. This allows you to develop long-term, scalable residual income streams. There are many, many “markets” that you can choose from. A few include: Arts and Crafts, Beauty, Business, Careers, Computers and Technology, Cooking, Dating, Disease and Illness, Health and Fitness, Hobbies, Home Schooling, Leadership, Motivational, Parenting, Public Speaking, Recreation and Sports, Relationships, Religion, Romance, Success, Self-Help, Sports, Time Management, and Writing. We will get more into defining your niche and research your target audience in our later steps.